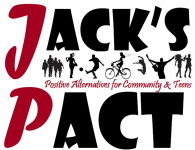 This year Jack's PACT is teaming up with Gosnold Prevention Division to enter a float into this year's annual Falmouth Christmas Parade on Sunday December 4th... we need YOUR HELP! Are you...FUN? Artistic? Crafty? A builder? A Team JP kid, teen, or adult? An advocate for healthy living or living substance-free? Or just love the holidays?! Let us know if you would like to be part of our Float Committee - Kids and adults needed! 1st meeting is Thursday, September 8th at 5 PM at the Gosnold Prevention Office - Please RSVP to Kit O'Connor at kit@gosnold.org.